How to blog. 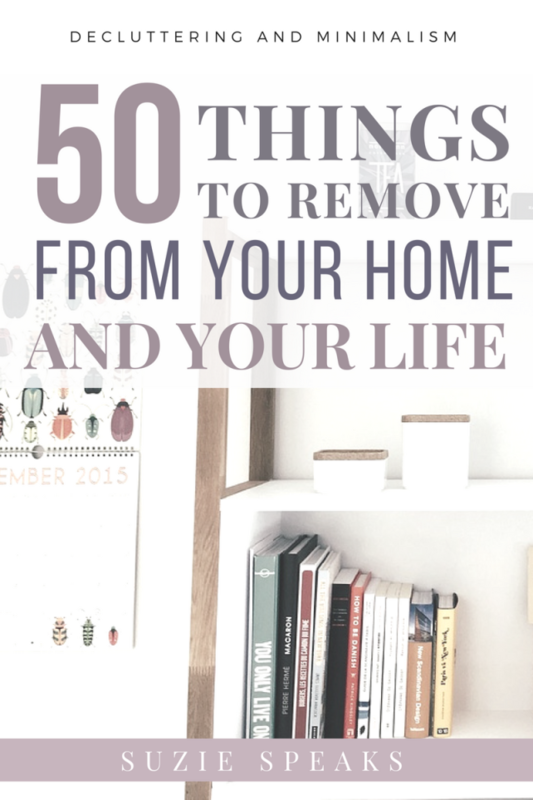 There are so many questions that I see being thrown around continually among bloggers. How often should I post? Should I create a Pinterest or Stumble Upon account? What plug-ins should I use? How often should I share my posts on social media? Should I be self-hosted? There is no definitive guide as to how to create a successful blog, and therefore there are no definitive set of right or wrongs. Most of what I have learned has been through trial and error, and from advice given by bloggy friends. Some of it has worked, some of it hasn’t, and I have shared my experiences in the hope that they prove useful for others. However, this doesn’t necessarily mean that my advice will be successful for everyone, if indeed anyone at all. Focus on doing what works for you, don’t be afraid to try new things, and most importantly, don’t be afraid of failure. Blogging is an exciting process where I’m learning new things all the time, and that’s one of the many things that I enjoy about it. Content. I’ve always been an avid believer that, above all, content is key – it’s less likely that readers will return to poorly written posts. However, who makes the decisions on what makes a successful post? Each individual, and therefore each blog is unique, and the important thing to remember is that so are potential readers. Some will enjoy your content, others may not. Focus on writing posts that you and you alone want to write, not what you think others may want to read and concentrate on those who respond positively. Comparisons. Blog envy is a natural part of the process, but not if it means your perspective of your own little space of the Internet becomes negative as a result. Yes, I see a whole host of things on other sites that I’m envious of every day, whether it’s the design, layout and/or content, but that doesn’t take away anything that I’ve created here, and I’m proud of it. Your organisational skills (or lack of). We all have that online friend or ten. The ones with strategies, schedules, charts and plans, who know exactly what they’re going to post and when they’re going to post it. I’m not one of those people. I write when I feel like it, and press the publish button when I’m satisfied (so I can then inevitably go back and edit it when I spot a bunch of mistakes that I missed, despite reading it through several times). I then spend some time promoting it through social media. No plans, no schedules. Perhaps I’m doing myself a disservice, but I’m conscious not to make blogging become a chore and simply posting something because I feel I have to. Remember, you’re a human being with a busy life and commitments, and unless you’re willing to pay for a team of people to help you, there’s only so much that you can do. Give yourself a break. Your own abilities as a writer. One of the most common things I see among bloggers is their lack of faith in their own abilities – as little as a few days ago two of my favourite writers were discussing their fears and self-doubt, despite the fact that they have a seemingly natural talent to put pen to paper (or I suppose, text to screen in this case). My main question here is simply this: Whose opinion are you basing this on? Your writing style will inevitably change over time, but you will always naturally write in a way that suits you, and this authenticity is one of the things that will keep readers coming back for more. Embrace it. Your progress. Haven’t gained 50,000 readers, 100,000 Twitter followers, had that viral post or been given a book deal yet? Neither has 99.9% of the blogosphere. One of the many misconceptions about blogging is that pressing the publish button will mean instant success, and many lose faith and become disillusioned with the process after a few months when they haven’t achieved all of their goals immediately. Regular blogging is an enormous amount of hard work – publishing, editing, promoting, networking – and to do all of this on a regular basis takes an extraordinary amount of time. So, instead of focusing on the enormous targets you haven’t yet reached, reward yourself for the little achievements on a weekly basis. Published a post that you’re proud of? Fantastic! Gained new followers? Great! Every new post, every new reader, comment, tweet, pin and share is progress. Keep going, and be patient! What about you guys? Have you been struggling with self doubt recently? That’s definitely the best way of thinking about things! This post was just what I needed to come across as I begin my own blogging adventure! Thank you! Thank you – so pleased that you found it useful! Welcome to the blogosphere! Oh man at the beginning of had all those doubts! Now I’ve realised all I need to do is write from the heart. That’s my job! Whoever wants to read and interact, I’m happy with! If I’m genuine people will read! I am guilty of comparing my blog all the time. I look at other bloggers layouts and I get so discouraged. I recently did a makeover on mine and it sparked some inspiration in me. You just need to love what you are doing and if you don’t love it change it. I am going to have to save this post for the next time I get all judgy on myself. I had all those doubts at the beginning until now (before I read your post). And you mention a lot of meaningful lines. How I wish I read this post months before. Thank you for sharing. Thanks so much lovely – glad you found it useful! Thanks so much lovely. I think we all go through self doubt because of the sheer amount of blogs out there… What are your issues with content? How’s the Blogger’s block now? Have you had any ideas? Haha! I love photography blogs – I’m always amazed at the sort of shots that people get! I’m always second guessing my writing. I want to always sound authentically me and be entertaining at the same time, it’s a hard balance for me especially if you are reading numerous times for context and grammar. And I take into account my following and social media accounts all of the time. Some really sound advice here Suzie. I like all of this advice, Suzie and need the reminders. I totally agree that content is vital and I know for me I will not revisit blogs that have content that is either poorly written or doesn’t interest me. I believe there are plenty of readers for us all, and I try to celebrate each small gain I make on a weekly or monthly basis. I’ve grown my platform gradually and organically giving it the most time I can with a busy schedule that includes a full time job. I’ve bookmarked this so I can go back and read your other related posts. Thanks so much Molly! So pleased that you find it useful! I loved this post! I admit to plenty of stressing about my blog (almost a year old now!) but I think I’ve let much of that go. 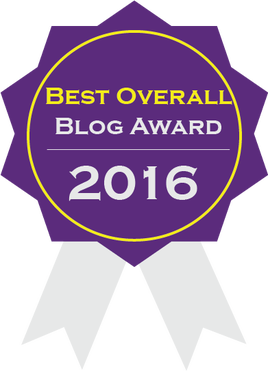 The big turning point for me was realizing what an honor it is that anyone reads my blog. Maybe it’s not 50,000 people. But if I enjoyed writing it, and even one person read it, I’ve met the goal- I’ve contributed something to the world, and it mattered. I appreciate that you’ve used your experience to help other bloggers like me stop sweating the small stuff, and keep creating! Thanks so much lovely – really appreciate it! Thanks for including my post lovely! Suzie, thank you!!! You have no idea how much I needed to read this today. I started my blog in 2015 and have felt absolutely everything that you wrote about. My weekly posts turned into monthly posts, which have now turned into occasional posts. Life happened along the way and things were getting neglected. 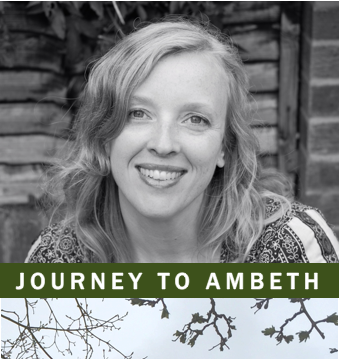 Although I have a lot on my mind to share (and I mean A LOT), I realized that I needed to remind myself that this is a passion project and not a 100-yard dash to a publishing deal. Writing is my passion. Teaching is also my passion, as well as my current career. So, I’m trying to find the balance. “Haven’t gained 50,000 readers, 100,000 Twitter followers, had that viral post or been given a book deal yet? Neither has 99.9% of the blogosphere.” This also helped me. All of my numbers may be increaseing slowly, but it is still an upward trend. I’m not sure what numbers I actually expected when I started in 2015, but I do know that I expected more than what I currently have. Without turning this into a counseling session in the comment session, I just want to thank you for your words. They are exactly what I needed to read, especially since I planned to publish my next post this week; I have been concerned about which topic to tackle after being silent for awhile. You reminded me that I need it write for me. What an awesome comment, and I’m so glad that you found it useful. I think that because blogging is becoming a viable career option there are many that start with a huge goal in mind, so it can be difficult not to get caught up in the whole stats thing. Keep doing what you’re doing – as long as you’re enjoying it then it is a worthwhile thing! I couldn’t agree more – thank you! Thanks so much Marje! Blogging is a great way to boost your book promo! Thanks for this motivation. It gets really discouraging when you’re able to write really good content and receive feedback from others, BUT when you see the numbers others have, it makes you think twice. It’s articles like this that really help keep me going and I gratefully thank you for this. I know what you mean. My pet peeve is when I see Pinterest group boards that are vertical pins only and the only way to go. In my niche, a vertical pin would be off-putting and ugly. As much as there is common sense advice, there is also a lot of “rigid, you have to do it this way or you’ll be unsuccessful.” I ignore the latter and support the former. Bloggers need real support, not told what their doing wrong all the time. All good advice here Suzie! We just gotta learn to do what we do, and do it to the best of our abilities! Comparison is NEVER a good thing! Writing..check..subjects..check self hosting…tearing my hair out…. Thanks lovely! Really appreciate it! I do stress about my blog sometimes, worrying about all kind of things. I then play about with plugins, and sign up for things I don’t understand and get myself in more of a state!! Absolutely! It’s the community that makes everything worthwhile! Suzie, I have only just seen this, but thank you for your reassuring advice. My blog is very small and personal and I had felt I perhaps needed to be a bit more adventurous – perhaps jazz things up somewhat and learn from fellow bloggers. And I have ‘met’ and am happily following some lovely bloggers but on the whole all the frenzied posting and self-publicising has left me feeling rather inadequate and hopeless! You make me feel better about writing as and when and how I can. Thank you! Thanks lovely! It’s a mine field of desperation out there and there are a lot of people who don’t know what they are doing and so blast their posts out everywhere without working out whether they will put people off… Just keep doing what you’re doing! I really wish everyone else could do that, myself included – such a great way to think! Great reminder that we can only do so much. I stress about techi things – like why can’t I find Pinnable Images and all the things I don’t’ know! What I’ve learned about tech stuff is that I’ll never learn enough tech stuff to actually keep on top of things haha! It’s always changing so fast! The only things I’ve struggled with recently are trying to keep up and keep posting and what my blog is about and it’s identity. To solve this I’ve been using some updated old content and split up my blog onto another site for my me personal posts. I’m sure sure yet how this has worked out gone down but you know, I’m just an amateur! 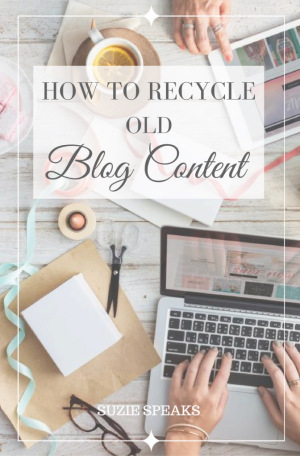 Repurposing old content is always a useful way to introduce your readers to older posts that they may have missed… I’m good thanks, you?